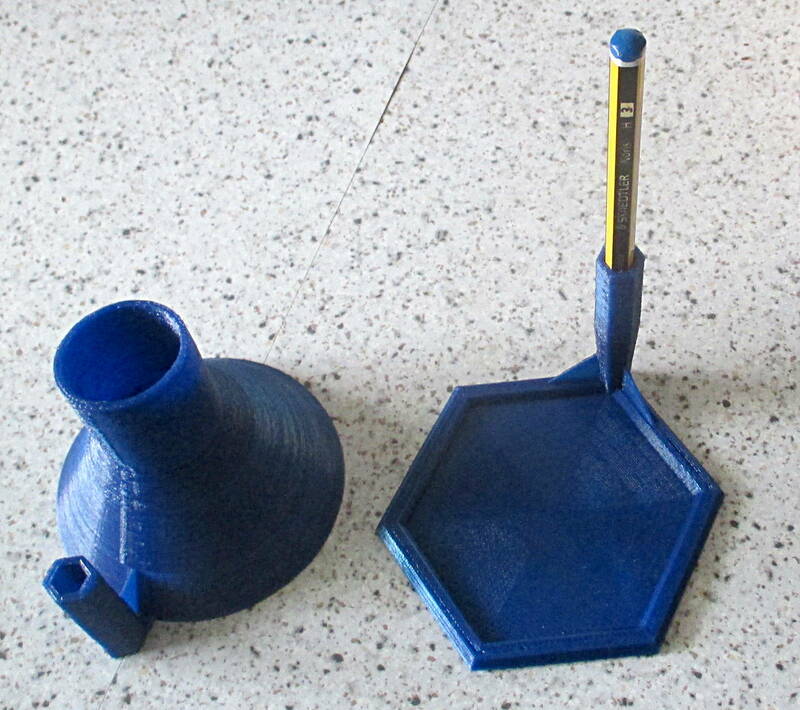 parametric funnel with or without stand by ospalh is licensed under the Creative Commons - Attribution - Share Alike license. A funnel where the main parameters can be changed. You either get a special stand with it or not. When you want to use light things, like just a few tea leaves, pick the simple stand. The tripod stand should be much sturdier, but i haven’t printed one yet. 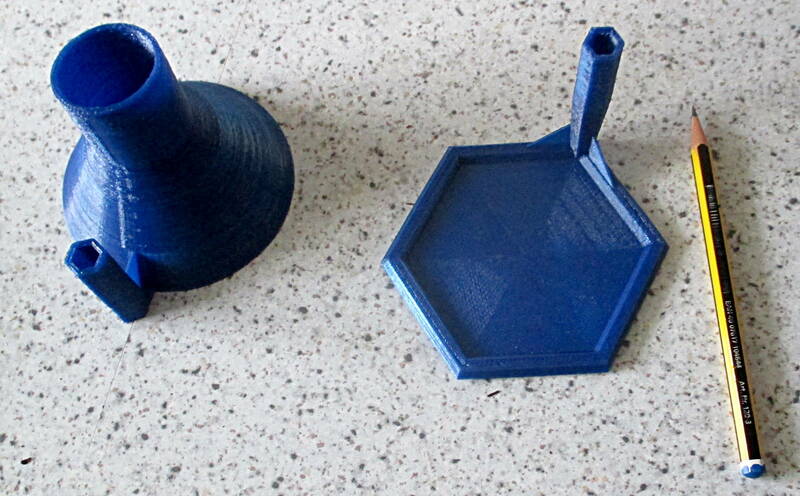 I wanted a funnel with a rather low throat ratio, if that is the term, to fill paper tea filters. The tea leaves always jam in the necks of supermarket funnels. Set the sizes in the customizer. Then, when done, switch from “preview” to “render” and click “create thing”. You should get two STLS, one empty when you switch to the funnel only style. For the funnel, a brim or raft may be useful, as the funnel’s own brim isn’t too wide. You need one or three sharpened standard sized pencils as the main support elements. Stick them sharp-end-first into the base, tear or saw of the erasers, if your pencils came with them, and stick the funnel on top of the pencils. The length of the pencils determines the height you get for your receptacle. Use a pencil sharpener to lower your funnel until you’ve reached the right height. Make sure all pencils have the same length. I re-uploaded the SCAD file with three main options: no stand, simple stand, as seen in the photos, and as a new variant a tripod stand. Fixed the connection between the stand plate and the vertical bit (twice). Also uploaded slightly larger STLs with the fixes. Made the handle on the standless funnel bigger, added a support for that. Changed the width of the conical part. Should fix a problem where there was a gap between the perimeters that reduced the strength. Partial re-design. Preview and render, three STLs. Tip angle of 0° now means flat, (that was called 90° before). This part is also available at github. Older versions are still available there. 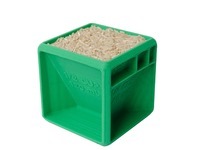 When you want to funnel foodstuffs, you should probably use PLA, food grade PLA when you are concerned. Or maybe PETG. You should probably clean your nozzle once, to get rid of mineral oil and other residues. When you use an oiler, use a suitable oil. Maybe a vegetable oil or something like Ballistol oil. 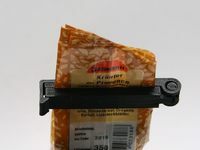 The funnelled material comes into contact with the printed parts for only a short time, so it should not be effected by the plastic too much. Especially when you use dry stuff. In the end, it is up to you. I can take no responsibility. Say thanks by giving ospalh a tip and help them continue to share amazing Things with the Thingiverse community. Say thanks and help ospalh continue to share amazing Things with the Thingiverse community. You'll need a PayPal account to tip ospalh. Click the button below and you will be redirected to PayPal. Once the payment is complete, you'll be brought back to Thingiverse.